Me and my patio–we have a love-hate relationship. Since moving into our house over 5 years ago, it’s gone through a cycle of patio makeovers. For the longest time, we weren’t able to actually use the patio because it was a hot mess. 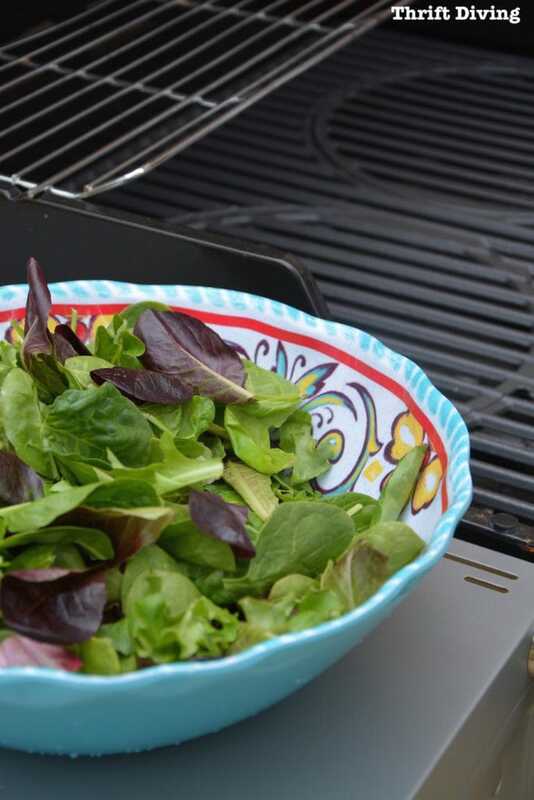 I’m talking green slime growing everywhere…no grill….and a patio table that went through three makeovers because the paint kept getting destroyed each season due to the elements. Last summer was the first (and only!) time that my family has been able to use our patio in 5 years. Five years!! Now that spring is here and summer is rolling around, I’m pumped to get my family and friends together again! I mean, isn’t this the whole point of having a patio?? 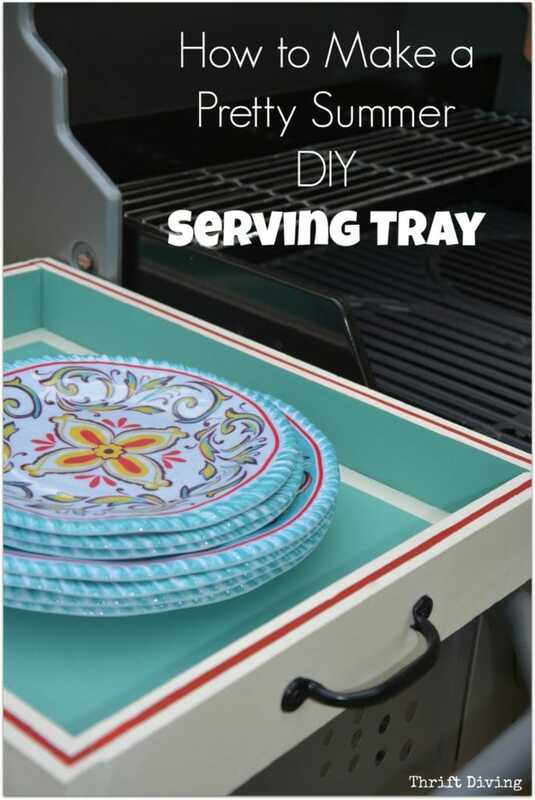 I’ll be doing another patio overhaul in the months to come, but for now, I was on the hunt for nice dishes for a fun summer DIY serving tray I was making! 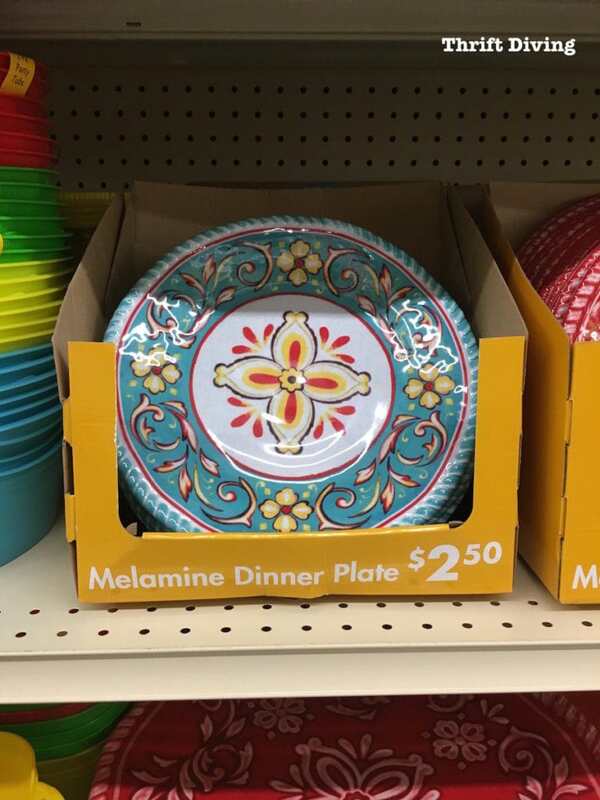 I headed over to Big Lots to check out the selection of melamine plates, cups, and bowls. ….’Cause you know glass and kids don’t mix, right?? They had some awesome stuff! 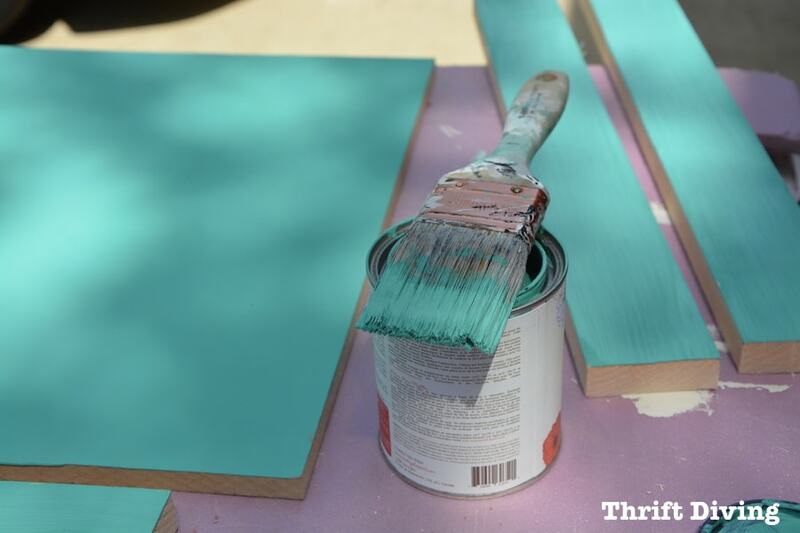 If you’ve been reading this blog for any length of time, you know I love me some turquoise, right?? I spotted these pretty turquoise, yellow, and red ones and knew that I had to have them (styles and assortment vary by store). 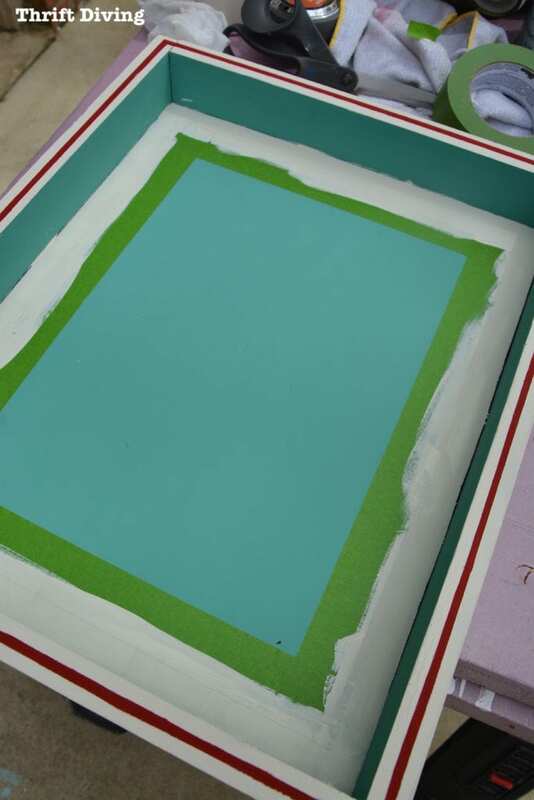 Anyhow, let’s jump into how I actually made this cute little summer DIY serving tray! STEP 1: How Big Do You Want It? I figured the base would look good at 18″ long and 14″ wide, but it’s all up to you. You can make yours any size you’d like. 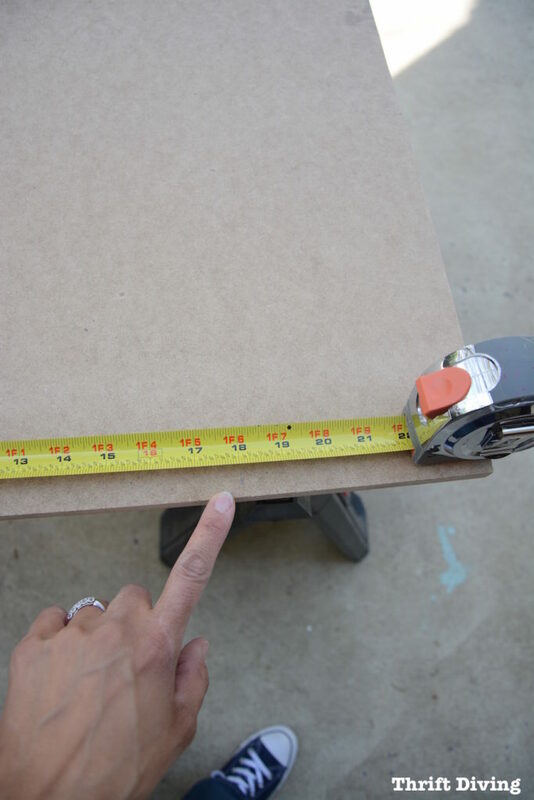 Use your tape measure to mark the length and width. Here’s a little helpful tip: make sure you use a speed square when making drawing straight lines. It allows you to get your right angles perfect every time! 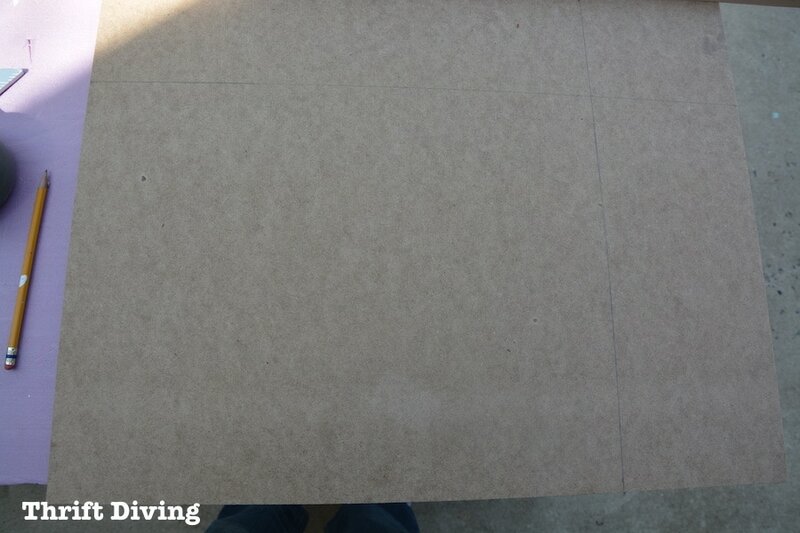 Just lay the edge on the board and draw your lines after marking the length and width! 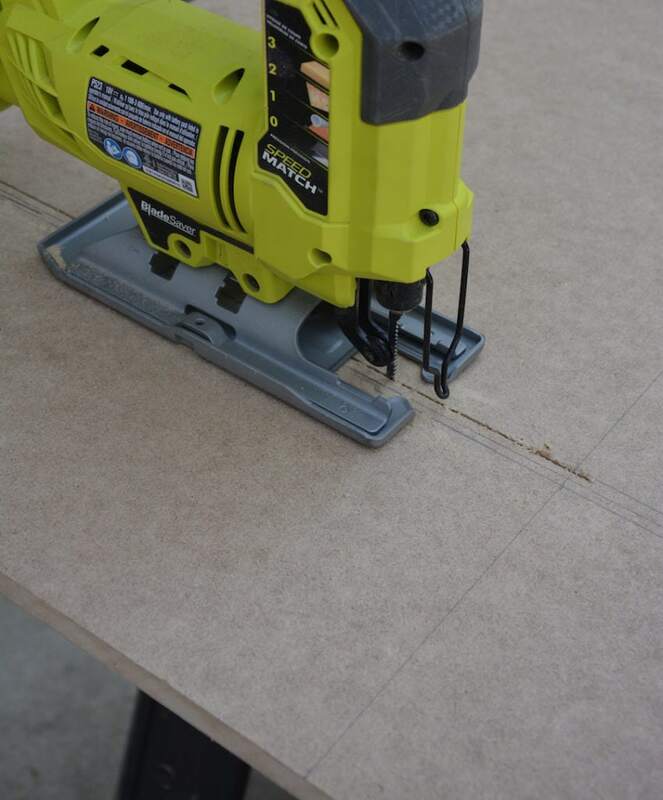 The jigsaw is one of my favorite tools because you can make a bunch of quick and easy cuts. 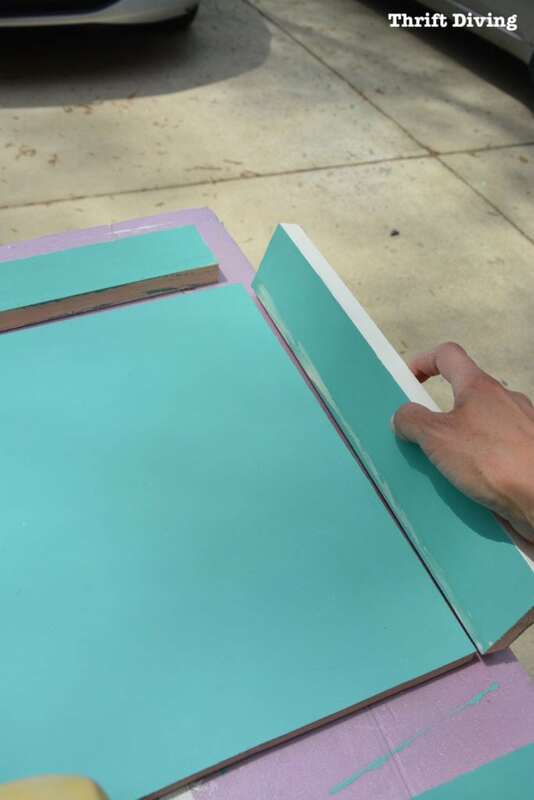 The edges aren’t as crisp and straight as a miter saw would be, but it’s easy for the most beginner DIYer. And they only cost about $60 to buy one. If you don’t have one for this project, ask a friend to borrow theirs, if necessary! I sorta of messed up a little when figuring out the size I wanted mine to be, and ended up drawing a bunch of lines. Just draw your two lines and cut out your 18″ x 14″ or whatever size you chose. Go ahead and cut your sides and ends. The thing to remember is that your side boards will be longer than the 18″ length. Each other those will be 19.5″ long. 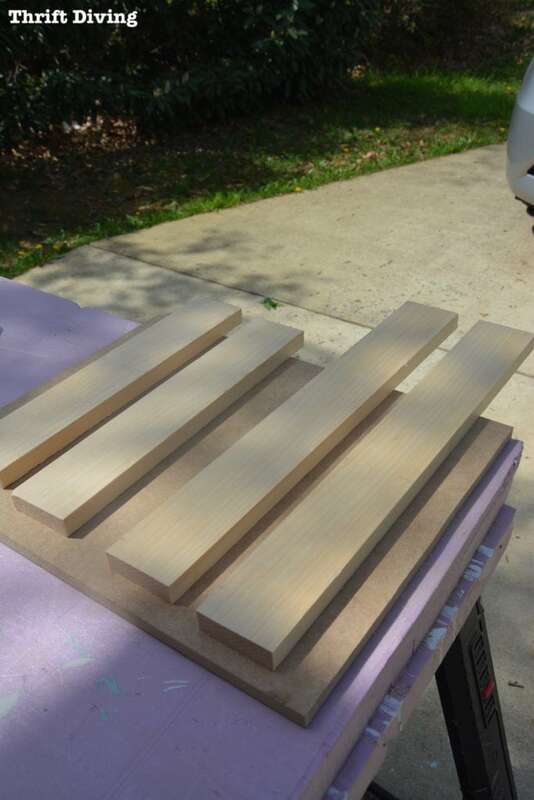 Your end boards will be the exact measurement of your width, at 14″ each. You’ll end up with 5 pieces that look like this. STEP 4: Paint It Pretty! 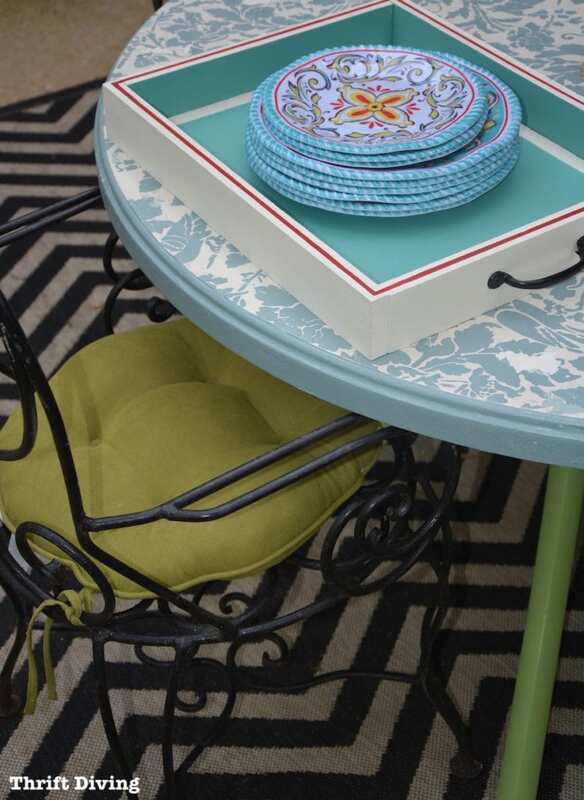 You don’t have to paint right now, but you can, especially if you’re doing a fun design on the base of the DIY serving tray, like stencils or something where you need your board flat for easy access. I wasn’t sure what I wanted to do decoratively, so I just went ahead and painted the boards. I used a chalked paint, which allowed me to skip priming and allowed me to jump right in to painting! 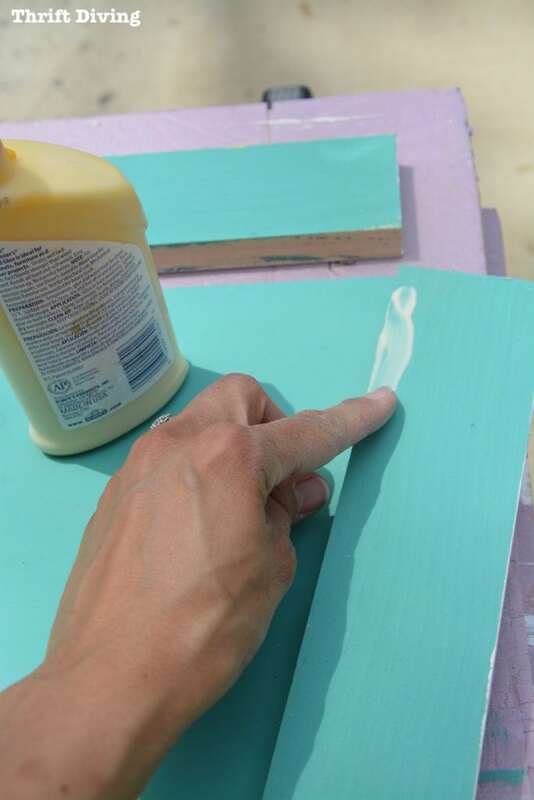 TIP: Don’t paint the outside of the sides and ends yet. 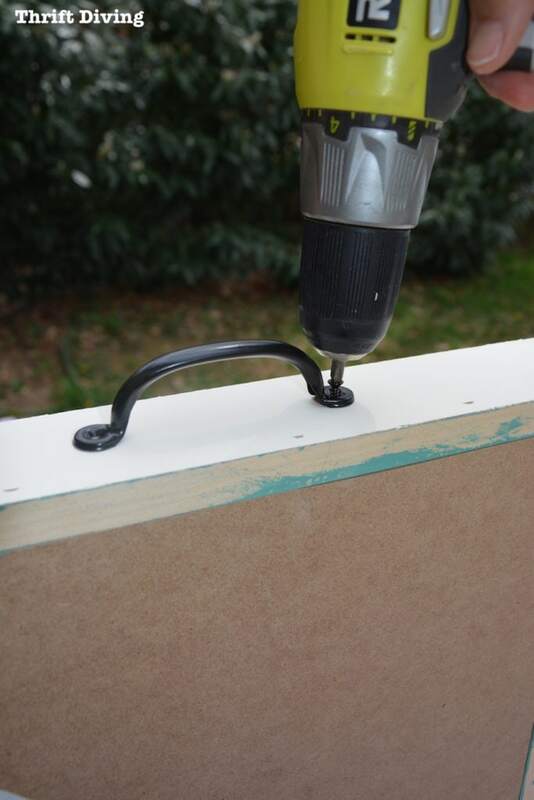 You’ll be nailing them together and the nail holes will have to be filled before painting. Always use wood glue when making something with wood. Always. It just helps to reinforce those joints. I used my finger and applied a little to the edges of the ends and sides where I would be joining them. Once there is glue, attach it. You’ll need to let it set for a second or so. Then use your nailer (or a hammer and nails) to join the sides together. Silly me was on the phone while completing this step and wouldn’t you know my forgetful self forgot to snap a picture of using the nailer?? Yikes! Sorry, guys! But you get the idea…right? One of the things I love about being crafty is the fun way you can think of ideas as you move along in a project. I was a little bored with just white trim, so I decided to pull in some red from those pretty Big Lots plates. 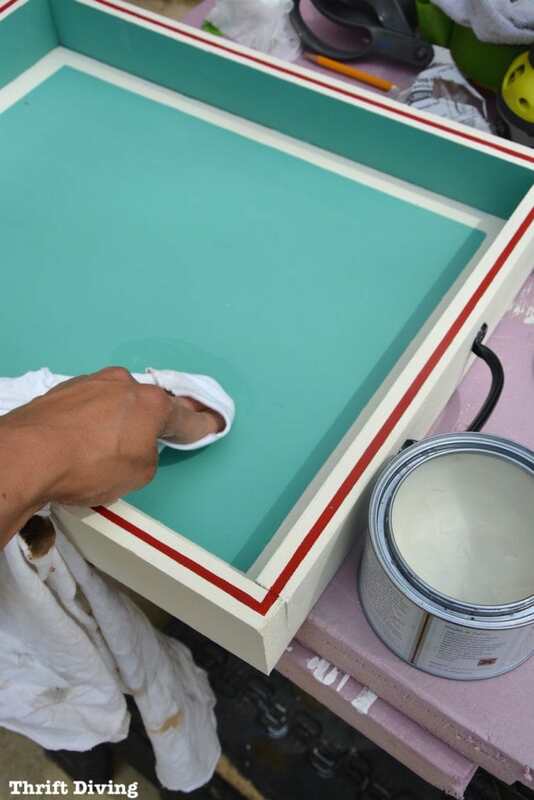 Then I decided to bring in more white into the inside of the DIY serving tray. I used painter’s tape to create a white boarder around the inside. Okay, this isn’t Karate Kid, but you know what I mean. You’ve got to protect that chalky paint! I used a clear wax (just 1 coat), but later I may want to add another coat because if there is food and drink spilled here, I don’t want to ruin the paint! STEP 8: Don’t Forget the Handles! 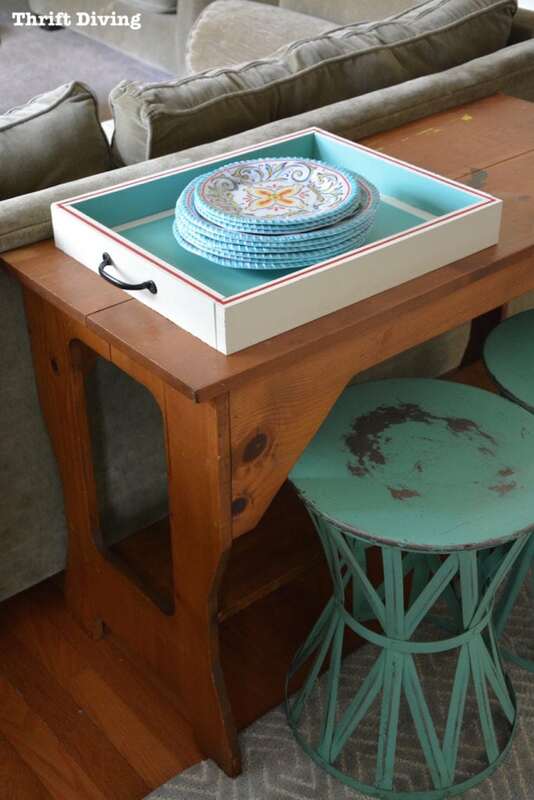 How are you going to carry your new DIY serving tray? Don’t forget the handles! Most home improvement stores have affordable little handles like this. Just use your power drill to screw them on once they’re centered. Ta-Da! My New DIY Serving Tray! I’m so excited how it turned out! 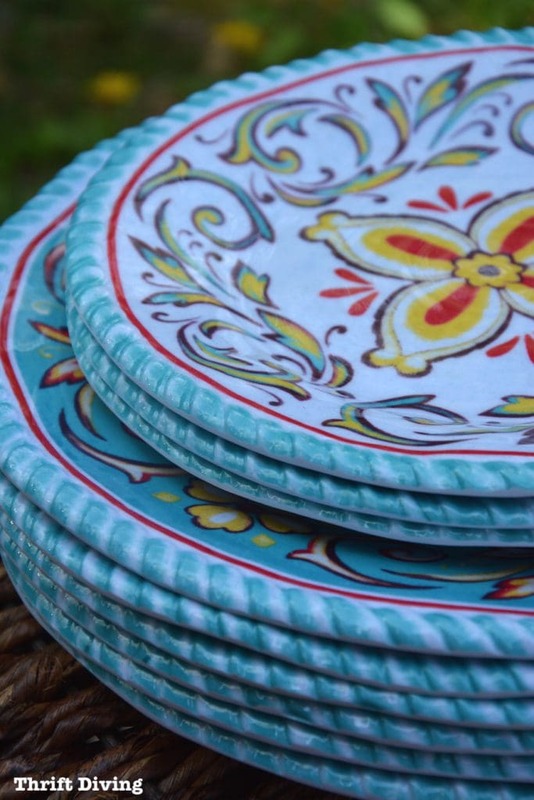 I absolutely love these plates and bowls from Big Lots! Now the next order of business is picking a date of when I’m going to invite people over! Did you guys know that Big Lots has all your spring and summer entertaining “must-haves”?? And now tell me…..how do you guys get ready for entertaining? This would make a great gift, color customized to the recipient. I hope you’ll paint the bottom, though. 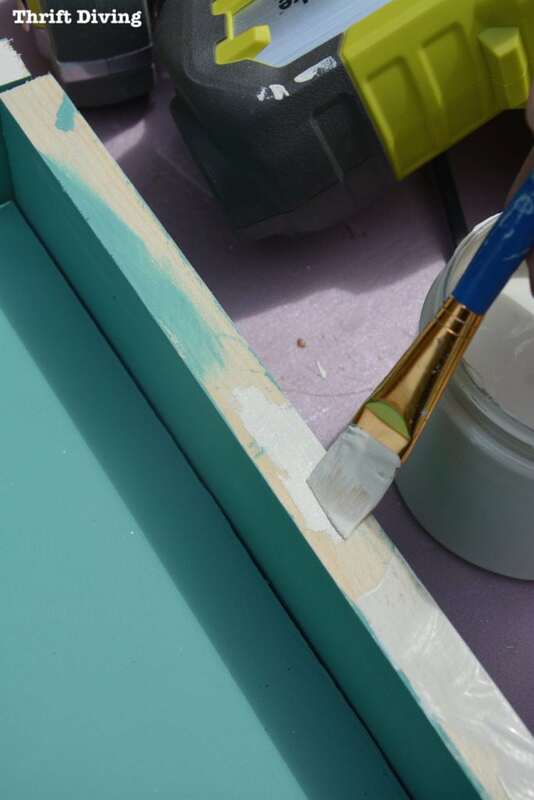 MDF can be badly affected by moisture, plus it will look even prettier. 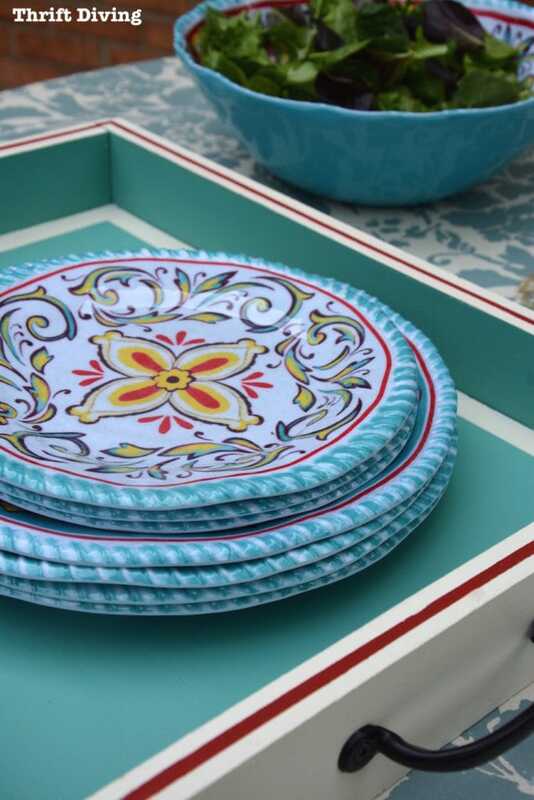 What a beautiful tray, I love it and such great instructions!! Oh, great job you did. Love the red color on the tray. Fantastic diy project. Hope i could make one.